Was masquerade the one where the person who found the treasure was discovered to have cheated and hence "lost" it by not being able to claim the prize? 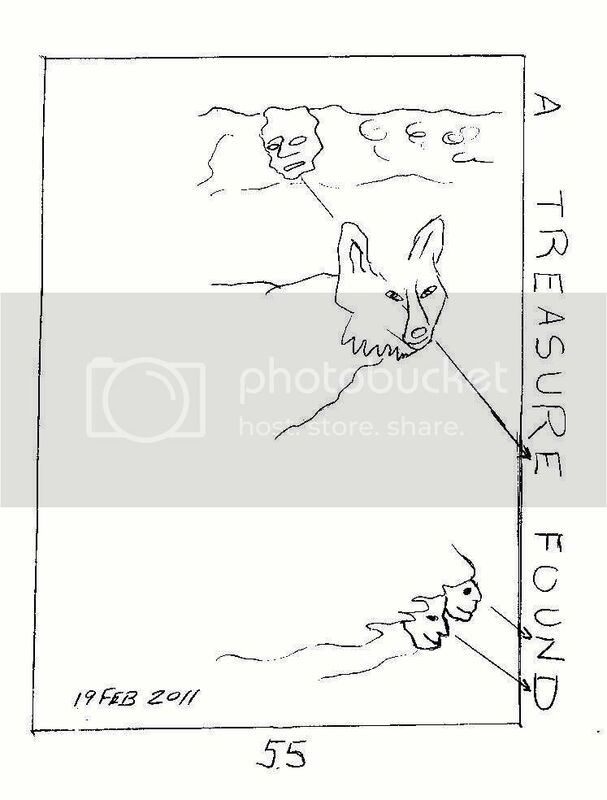 Yes and no: the person who found the treasure kept it and later sold it. The two men who really solved the book's clues and went to the site but didn't find the treasure have been recognized in a lot of the post-hunt publicity, but they don't have a prize. 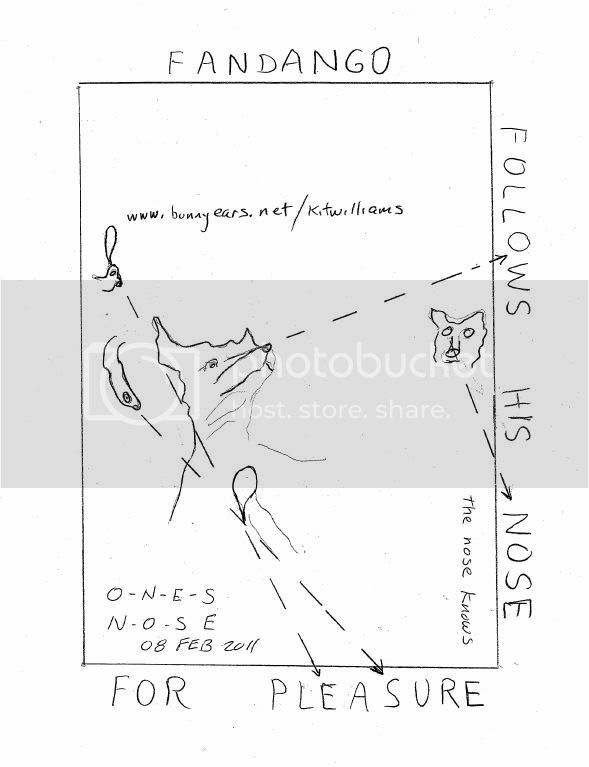 The "Bunny Ears" website offers a lot of information about the book and its clues: Masquerade & the Mysteries of Kit Williams In the "FAQ" link, you will find information about the cheater: Is it true that the man who won Masquerade cheated? What’s that whole controversy about? Although there is more to the 5 x 5 interpretation, just like the p. 47 gives a 5 x 5 polybius code, which builds on the Masquerade info in the p. 11 / 40 correlation. I'm trying this idea based upon the words on the last picture in F and the topsy turvy upside down hint. What if the Masquerade lines drawn through eyes and toes and fingers were to actually point to letters in the Fandango lettered edges?The pages are slightly dissimilar in size and hard to line up. The lettering is different size. What if you drew the lines on the Masquerade picture, cut it out, turned it upside down and placed it on a Fandango page and extended the lines into the letters? So far, I get frustrating combos and there is no exactitude here. I think it is wrong but then I have not tried this with every page and every combo. The two page illustrations in both books might prove easier. I'll let you know. Any thoughts? Anyone tried this? The Stockwells have indicated that everything you need to solve the Fandango riddle/hunt is contained within the book, so I doubt the solution would require use of the Masquerade book or solution. AnD snakE around me ‘til I was entwined. There are more of these in the book including ones that can be read forward &/or backward. The two borders that contain Q's both have all the letters to spell Masquerade as well. Has anyone else noticed these? If so, do you think they hold any meaning? I was working off the theory that C Masquerade iN ...means to "see Masquerade" in the book. Not every instance of a Q results in a 'Masquerade', but there are at least 8 examples that I've found so far. I just noticed that the two examples I've shown use the word, "quiver" - these just happened to be the two I selected. Net income more than doubled this past quarter. That doesn't normally happen in this steady-as-she-goes business. Net income M ore than doubled this p AS t QU art ER. Th A t D o E sn't normally happen in this steady-as-she-goes business. "This is all about policy," said Bruce Bittles, chief investment strategist at Baird. "You've got lower taxes, less regulation and confidence in the econoMy is high. Things Are firing on all cylinderS." Trump QUickly movEd to cut RegulAtions enacteD by prEvious administrations. He also successfully pushed to overhaul the U.S. tax code. That revamp included slashing the corporate tax rate to 21 percent from 35 percent. Yes, I realize this could be just coincidence, and I also found other random examples outside of the book. There is a lot in this book that is coincidence that people assign relevance to, I imagine most of what has been discussed is just coincidence. I just threw this out there in case something that could be coincidence was actually put there by design. No stone unturned, etc. Do you have a theory on what C Masquerade means in the context of this book, without going outside it? 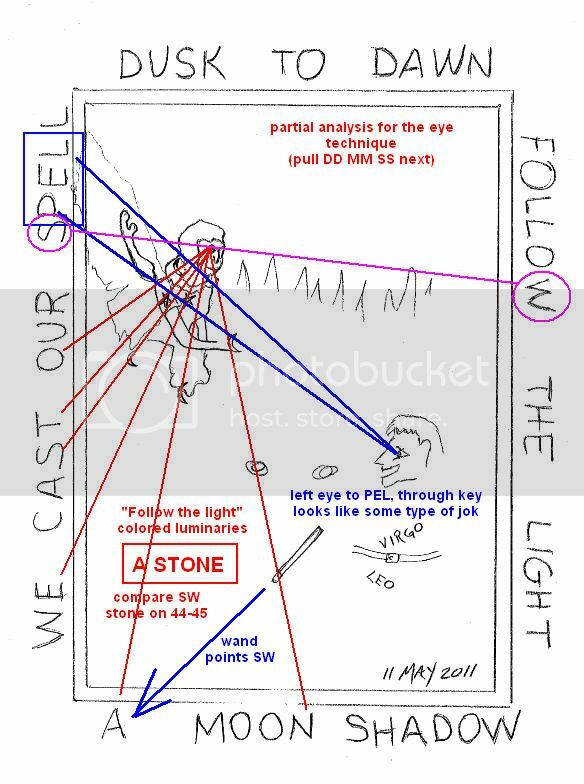 This was the first and easiest clue to be deciphered and that must have been intentional. I doubt their first clue was intended to lead people in the wrong direction right from the start. I think it's just a little homage to Masquerade, since it's obviously somewhat based on it. Personally, I don't think the number squares are involved in the solution. It would too much of a giveaway to have another puzzle's solution based on the same thing as Masquerade. 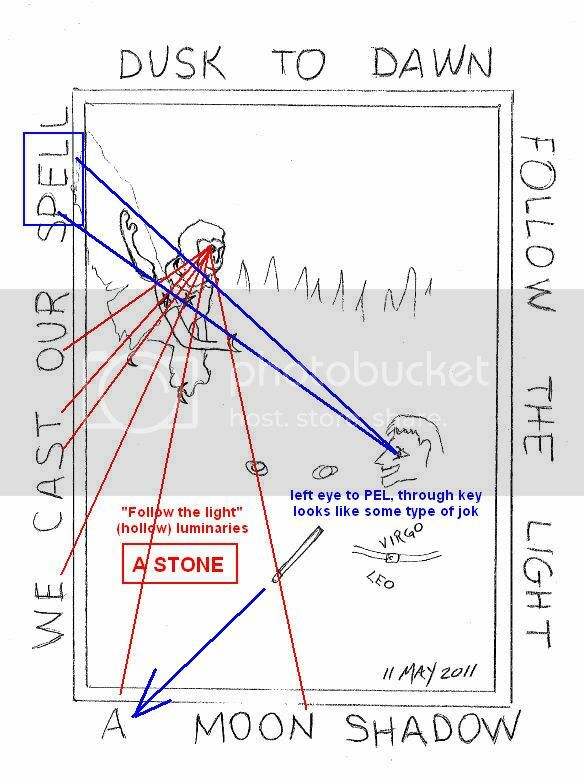 Keep in mind there was a red herring magic square in Masquerade that spells out FALSE NOW THINK AGAIN. And in the Masquerade hint that was published in the paper, there was a fish with the atomic frequency of red or something written on it, so another red herring. I think it's just a little wink, like, "Of course you're going to think the number squares are important again, but it's just a red herring" If they spelled out something important, they would have been figured out by now. I worked on Masquerade when it first came out and one of the few things I actually deciphered were the red herring clues, but there is nothing in the Fandango squares spelling out anything similar. If anything is a red herring in this book, I think it is the Lobsterman illustration with the herring gull (also a 'red herring' clue in Masquerade), the Bass Head lighthouse with the red light (which is really red, by the way), and the references to fish. I don't know what kind of fish are in the bucket, but they could be herring. The title of that chapter is "I'm Exposed as a Fishy Character." 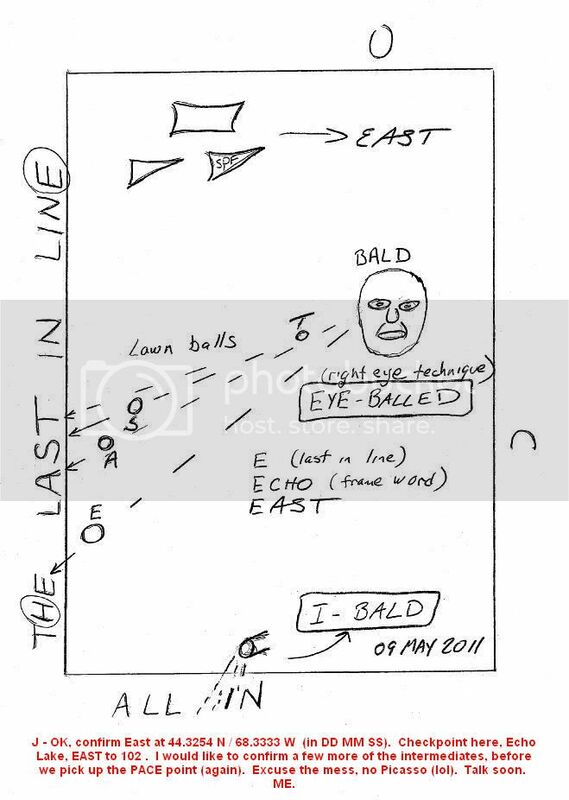 The sentence in Fandango similar to the one in Masquerade that suggested using eyes to point, is on page 3 and says, "The location of the Golden Key is revealed in Fandango by means both visual and verbal." Visual would be see/sea/C/eyes/ I's etc. The squares don't simply spell Masquerade (as an homage) but C Masquerade, so I was just trying out that phrase literally - to 'see Masquerade' in the book. If it doesn't pan out, I move on to another idea.